Within 90 days after the election is completed, each newly elected or appointed director must certify in writing to the secretary of the association that they have read the association’s declaration of condominium, articles of incorporation, bylaws and current written policies; they will work to uphold these documents and policies to the best of their ability; and they will faithfully discharge their fiduciary responsibilities to the association’s members. Otherwise, they must submit a certificate of having satisfactorily completed an educational curriculum administered by a division-approved condominium education provider (such as our law firm which regularly conducts board member certification seminars). Those who fail to timely file the written certification or educational certificate are suspended from service on the board until they comply. 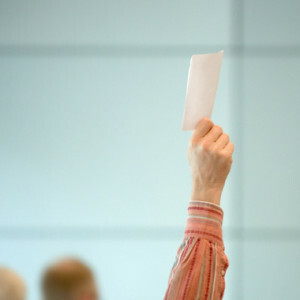 The Florida Department of Business and Professional Regulation has published a helpful condominium election brochure covering most of the procedural aspects of condo elections. A PDF of the brochure is available by clicking here. Elections can sometimes prove to be extremely challenging and contentious for associations, and it is imperative to consult closely with highly qualified and experienced legal counsel in order to help ensure that they adhere to all of the statutory mandates.